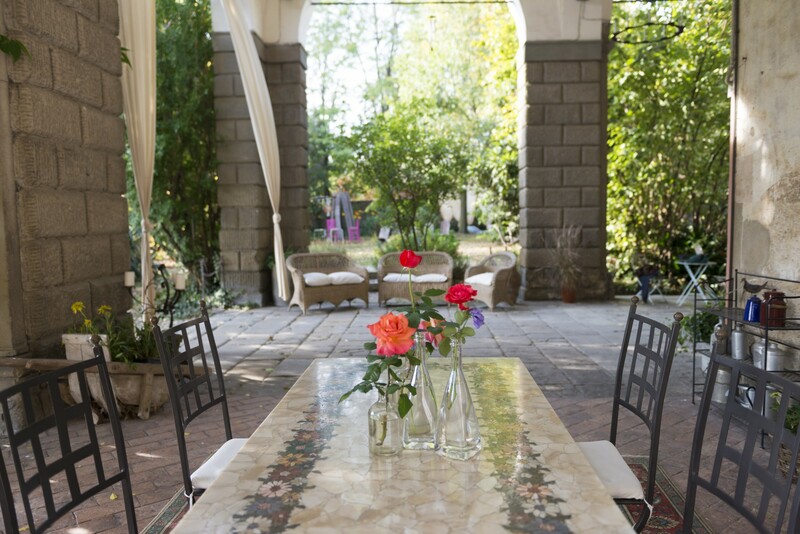 Castello Quistini is located 20km from Brescia, 35km from Bergamo, 60km from Milan. The highway MI-VE is 2km away. 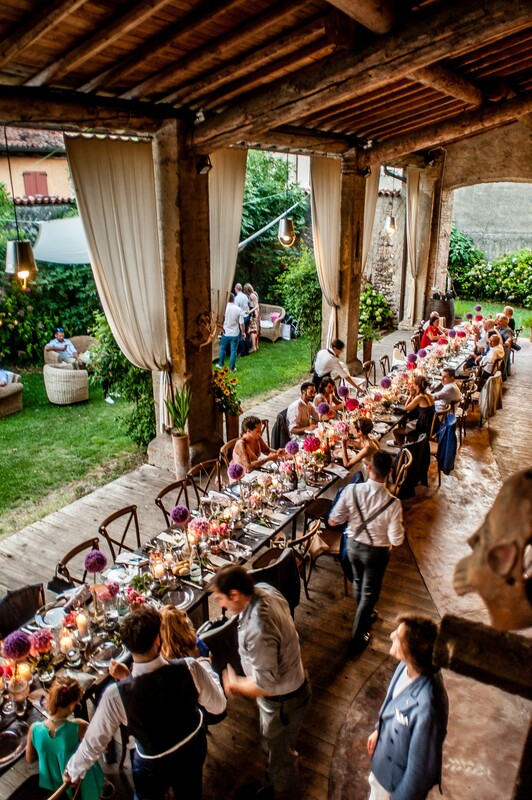 The cost of the wedding location is to be defined according to the required needs. 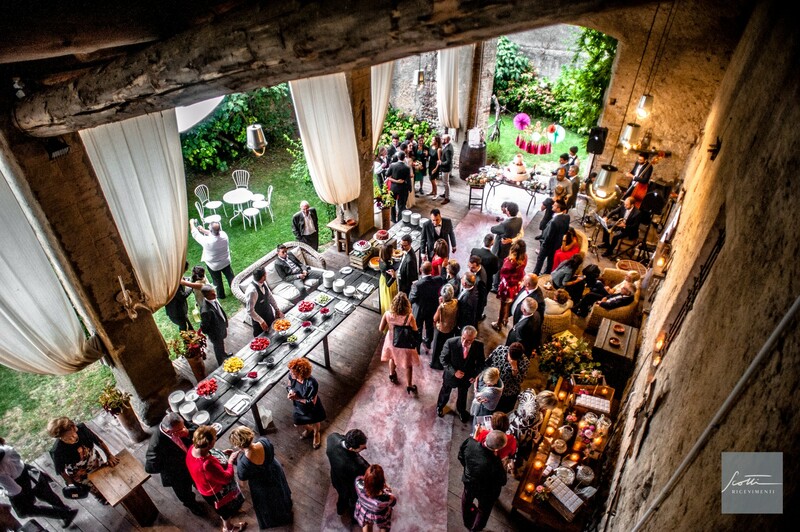 The maximum number of guests in a single space (column room) is 190 people. Equipped kitchen, toilet, changing table, outdoor parking. External catering and banqueting service. We are able to suggest catering to you based on your needs. 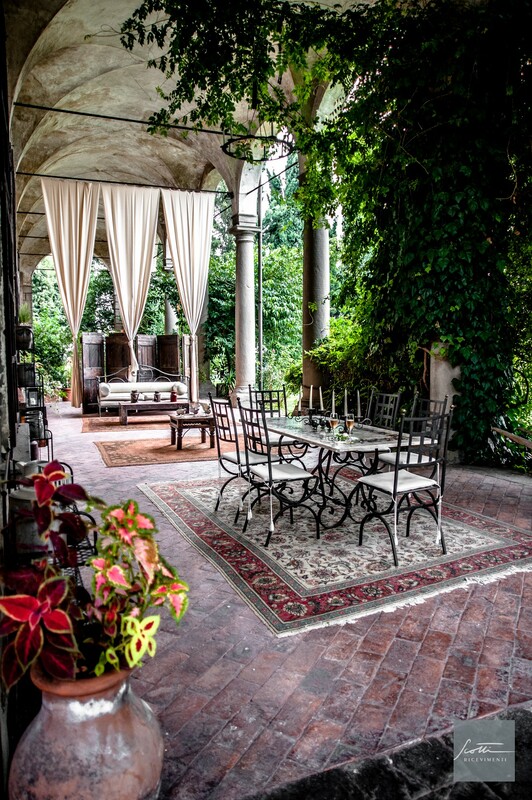 Garden of over 10,000 square meters, a unique room for 190 people, a veranda for 120 people. The car parks are located a few tens of meters from the entrance of the location and are available for about 200 cars. 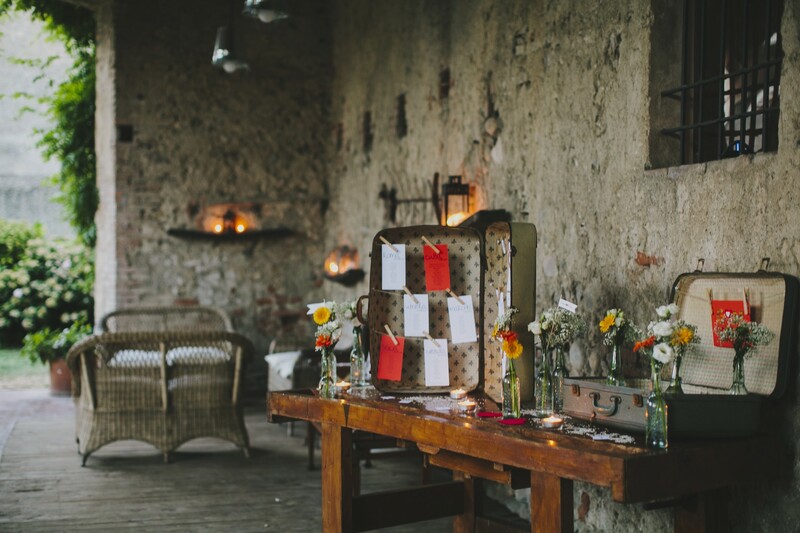 From Monday to Sunday by appointment calling +39 333 4885531 or writing to ricevimenti@castelloquistini.com. 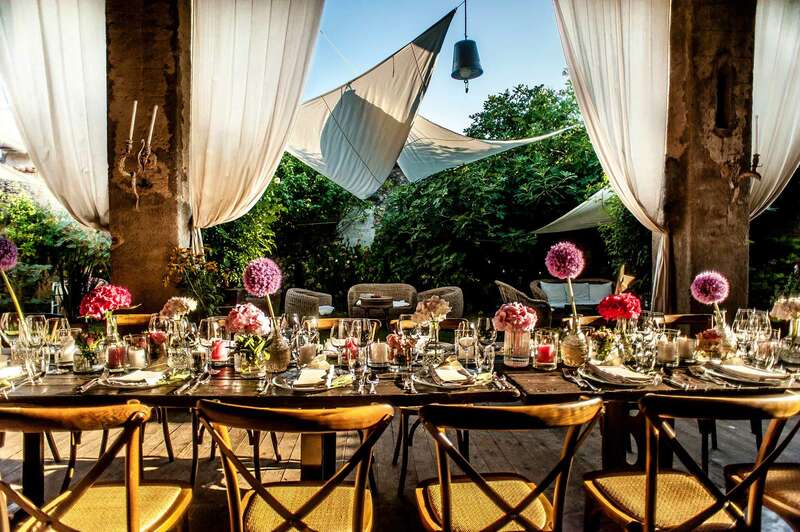 Castello Quistini is an elegant sixteenth-century mansion, rich in history and tradition: this is the reason why the wedding parties under the portico offer unique moments for your special day, you can remember forever. 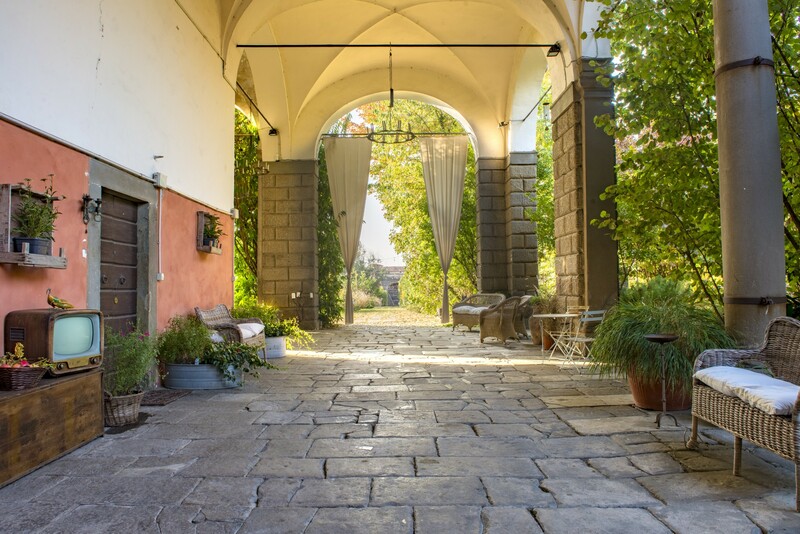 The location has many big areas with arcade, surrounded by the castle halls, towers and beautiful gardens on which they overlook, creating an allegorical internal-external continuum of the "half seasons", usually chosen for this type of covered outdoor space. Crossing the entrance portal, the fairytale atmosphere that distinguishes the castle takes you directly from the wonderful and colorful rose garden to the colonnade in Sarnico sandstone: architectural geometries that envelop the environment recreating the ancient conviviality of the banquets in the past. Peculiarities of the wedding parties under the portico of Castello Quistini are the wonderful moments of intimacy and freedom that this type of space offers: among the pillars, guests can enjoy wonderful views on the external gardens, where there are large curtains installed to guarantee shade and refreshment to the guests wishing to take a moment of relax and friendship on the sofas immersed in the vegetation, furnishings provided directly from the castle property. 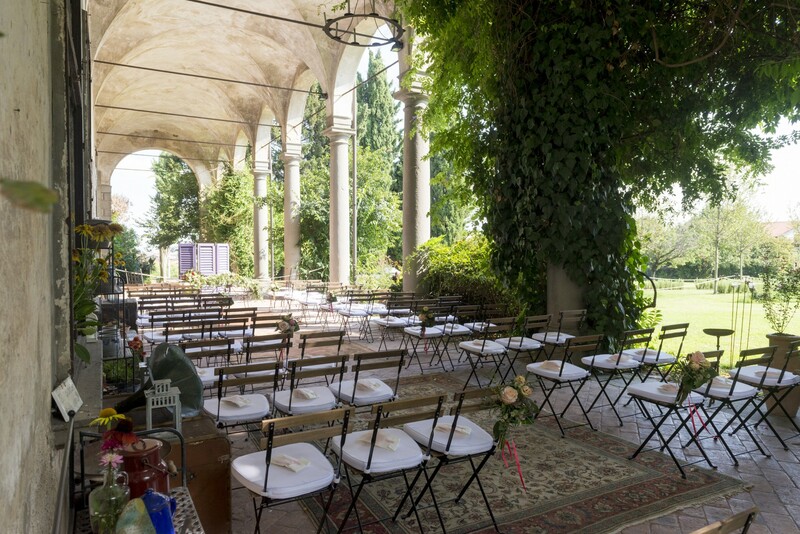 Imagine a wedding in Franciacorta in a fully equipped, easily accessible and extremely versatile location: Castello Quistini is the ideal setting for any idea and desire you have in your mind for your most special wedding day. 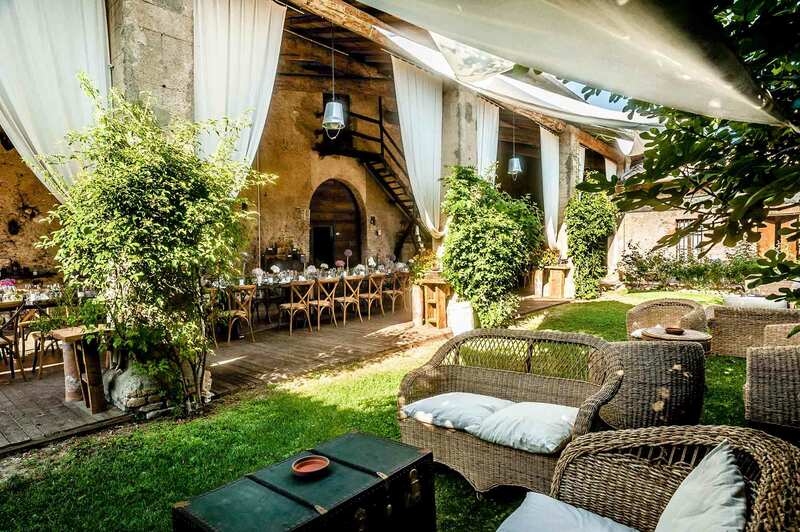 You can plan all details with the owners, the wedding parties under the portico in this ancient mansion can be completely personalized: from shows after dinner to the catering, from the buffet to the service at the tables and decorations, in a dynamic mix, familiar and comfortable, of sure aesthetic effect. 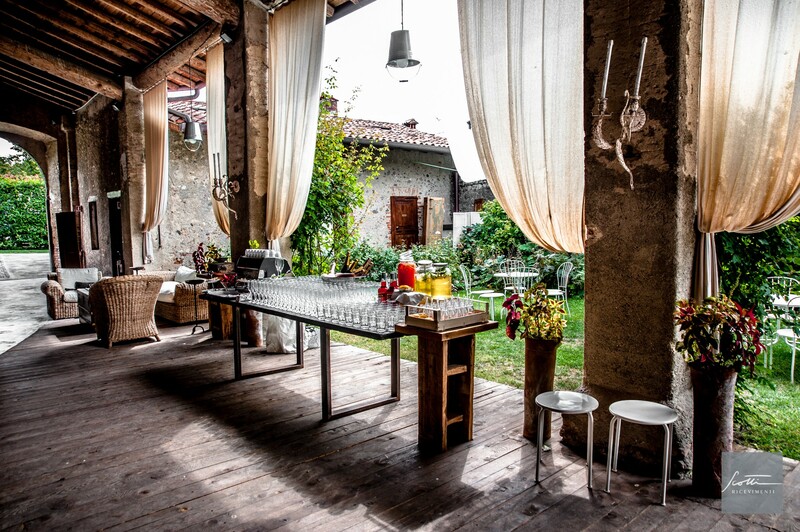 Last but not least, the interesting possibility of celebrating the civil ceremony directly here, officiated by a relative or friend: an indissoluble bond, in the total intimacy of your affections to make the best the uniqueness of the moment. 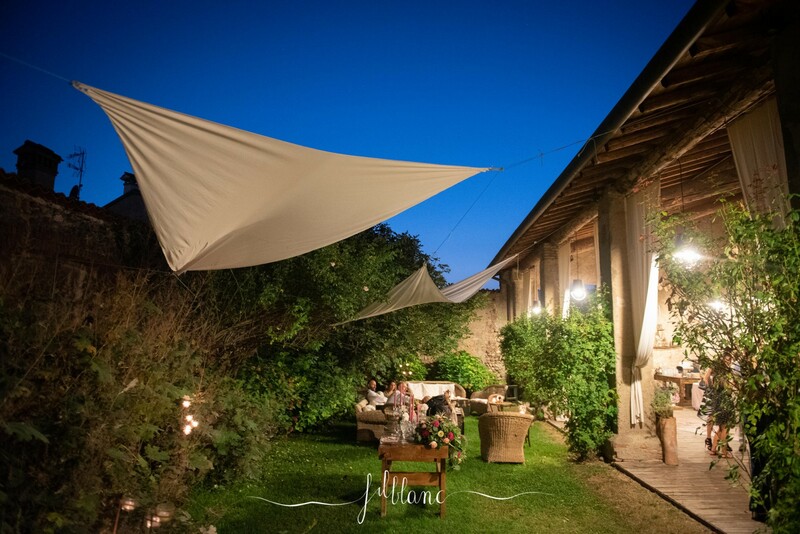 Very interesting is also the possibility to plan the wedding and the related celebrations in the evening, thanks to the setting of the external areas of the castle with light chains, candles and lanterns that will create a magical and surreal atmosphere. 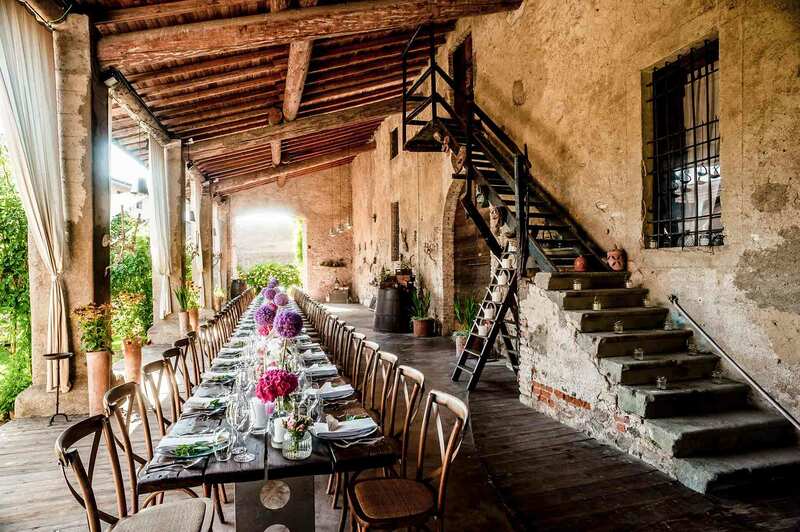 Castello Quistini is an ancient house of 1500 with rooms full of history and legends, located in the beautiful hills of Franciacorta, near the historic center of Rovato. A collection with over 1500 varieties of roses in a big labyrinth. 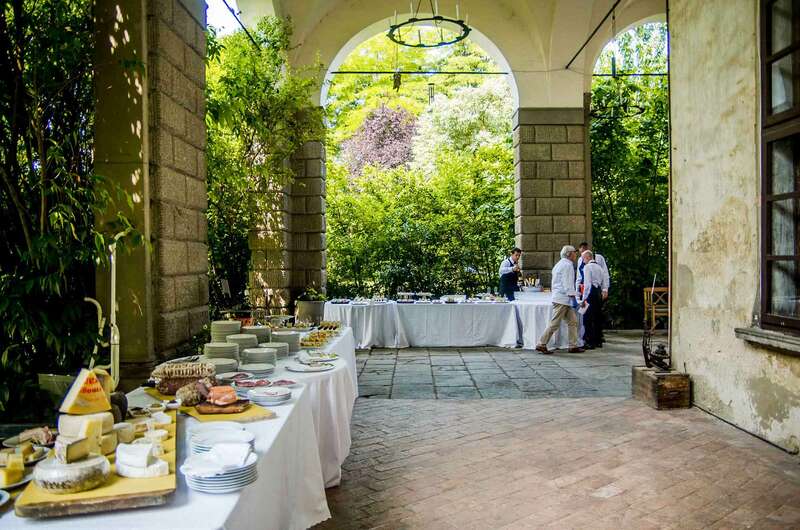 Secret green corners, like a bioenergetic garden, a secret garden of the hydrangeas, the “brolo” where you can find the strangest and oldest varieties of fruit trees and a small vegetable garden. The overall surface of the botanical garden exceeds 10,000 square meters.